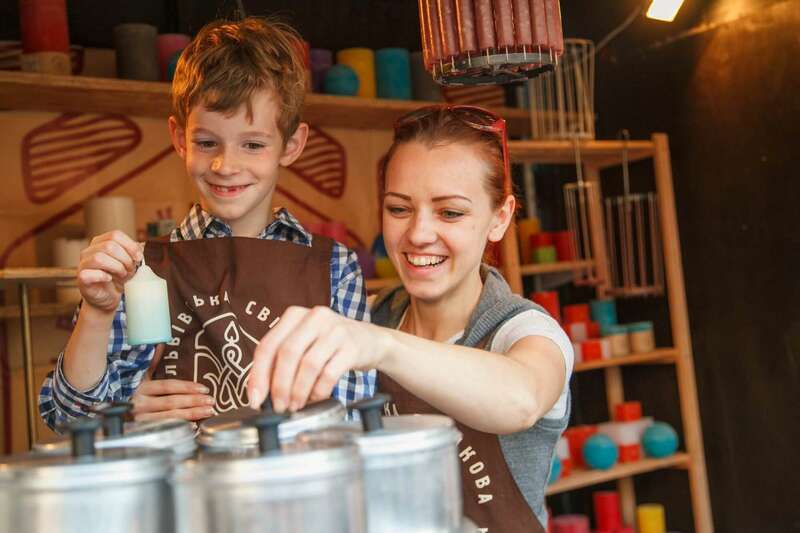 Lviv candle factory invites adults and children to master class for making candles. Everyone will be able to feel like an artist, pour a unique candle with his own hands and take it with him in memory of this interesting moment. Pre-registration by appointment. The size of the groups is from 3 to 25 people, the time of the arrangement by agreement.